Landlords need a better understanding of the laws regarding the safety of tenants in private sector rental accommodation, or they may find that non compliance with any of the prescribed regulations can render their Landlord Insurance invalid. 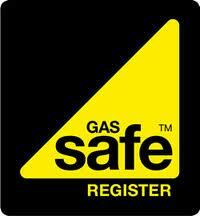 The Gas Safety (Installation and Use) Regulations 1998 outlines the landlords’ duties to make sure gas appliances, fittings and flues provided for use by tenants comply with all the latest UK safety regulations and are not hazardous to the health or well being of the tenant. A 12 monthly gas safety check (CP12) must be carried out on every gas appliance/flue within the rented property. A gas safety check will make sure gas fittings and appliances are fit for purpose and safe to use. A copy of the annual gas safety check (CP12) must be provided to tenants within 28 days of the check being completed or must be provided to new tenants before they move in. If a tenant provides their own gas appliance (eg. Free standing cooker), then you are responsible for the maintenance of the gas pipework that supplies the appliance, but not for the actual appliance. Landlords should also make sure that tenants know where and how to isolate the gas supply and what to do in the event of a gas emergency. If tenants won’t allow landlords reasonable access to the rental property for the completion of Gas Safety inspections then dialogue needs to happen to bring about the tenant’s compliance to allow access for safety reasons. The tenancy agreement (or rental contract) drawn up between the landlord and the tenant should allow access for all property repairs, routine maintenance and gas safety inspections to be carried out. Even if the rental property is only tenanted for a short period of time, (e.g. 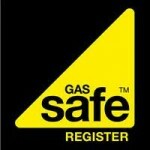 holiday home), the landlord still has the same legal responsibilities for gas safety in the property. It is the landlord’s responsibility to take all reasonable steps to ensure that gas safety work is carried out, providing the tenant with written notice of scheduled work in advance, requesting access, and explaining the reason. Landlords should keep a record of any action, in case the tenant refuses access for any reason and this will allow the landlord to demonstrate to the HSE what steps have been taken towards compliance. Compliance with UK legal and Health and Safety Executive requirements is a standard requirement for all Landlord, Buy To Let and Buildings insurance policies and copies of all official documentation may be requested by insurers. This was written by Mike Clarke. Posted on at 11:30 am. Filed under Landlord News. Tagged accommodation, B&B, bed and breakfast, bed sit, buy to let, caravans, chalets, cottages, CP12, fit for purpose, flats, Gas, gas appliances, gas fittings, Gas Safe registered engineer, gas safety, Gas Safety (Installation and Use) Regulations 1998, gas safety checks, hazardous to health, health and safety executive, HMO, holiday let, home, hostels, hotels, house of multiple occupation, housing associations, housing co-operatives, HSE, inspection, landlord, landlord responsibilities, landlords, law, legal, local authorities, maintenance, narrow boats, obligations, pipework, private households, private rental sector, Private rented sector, private sector landlords, prs, regulations, rental, rented, responsibilities, safe to use, short term let, social housing, tenant, tenants, UK, UK law, UK safety regulations. Bookmark the permalink. Follow comments here with the RSS feed. Both comments and trackbacks are currently closed.